Step 1 In a medium, heavy-bottomed pot, heat the olive oil over medium-high heat. Stir in the carrots, celery, onion, leeks, lemon and garlic, along with the cumin, cardamom, garam masala, smoked paprika and cayenne pepper. Cook, stirring frequently, until the vegetables are softened and the spices are aromatic, 6 to 8 minutes. Step 2 Stir in the lentils and broth, and bring to a boil over high heat. Reduce the heat to a gentle simmer, loosely cover and cook until the vegetables and lentils are tender, about 20 minutes. Step 3Remove from heat, season with 2 teaspoons salt and three-fourths teaspoon pepper, or as desired. Purée the soup either using a hand blender or in batches using a stand blender. Check the soup for consistency, adding additional liquid if desired to thin. Taste and adjust the spices and seasonings if desired. In Recipes-list.com we have selected the most viewed recipes from category - Main courses Quick and easy Soups . Enjoy the best recipes specially selected for you! 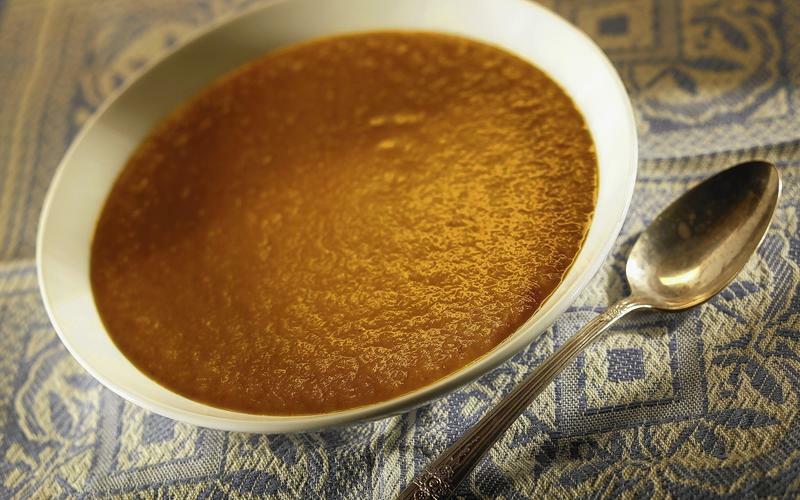 Sally Lunn's carrot, lentil and cumin soup is the right choice that will satisfy all your claims.